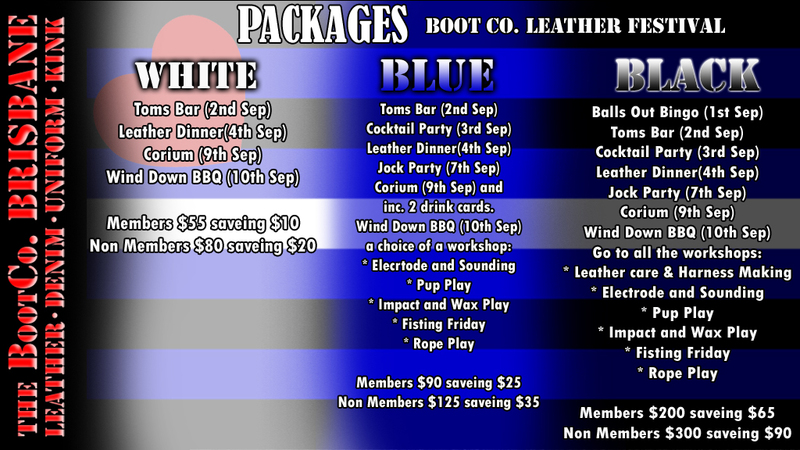 Toms Bar ( 2nd September), Leather Dinner (4th September), corium (9th September) and the wind down BBQ (10th September). Get to go to the 3 main events and the after party and choose from one of the listed workshops and get 2 drink vouchers for Corium. This is the whole kit caboodle package get to go to everything.